The National Portrait Gallery has announced photographer Elizabeth Looker is the winner of this years “Art Handlers'” award. ‘A calm so deep’ by Elizabeth Looker, winner of the 2019 Art Handlers’ award Photo Credit: Elizabeth Looker. Perth photographer Elizabeth Looker has won the highly coveted Art Handlers’ Award for this year’s National Photographic Portrait Prize. Ms Looker was awarded the prize for her portrait ‘A calm so deep,’ which was created as part of her 2018 Minderoo-supported artist-in-residency at Konstepidemin, one of the largest independent artist workplaces in Sweden. “Dorotea asked if she could participate in the photographic study I have been working on for exhibition, The Spirit and the Flesh, capturing the energy and spirit within my subjects. She was so ready to ‘see’ herself, and to show herself to me. Open and honest, adventurous in self-exploration, she was vulnerable with her words and free in her movement”. Ms Looker says her interest when photographing Dorotea was to understand and capture not the physical, but the spiritual – how a person feels rather than how they look. 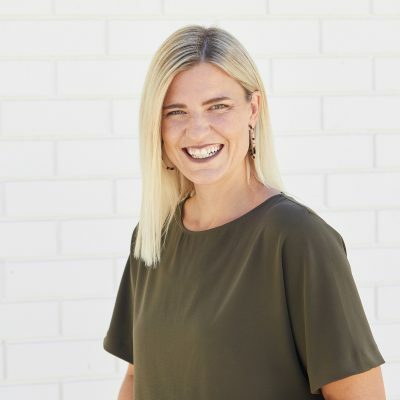 Ella McNeill is the Partnership Manager of Minderoo’s Arts and Culture portfolio, overseeing Minderoo’s investments and relationships with these partners. Ella has extensive experience in the not for profit arts sector in Australia and overseas, working across international arts festivals, film, and arts for social change organisations. Ella holds a BA in Arts Management from the Western Australian Academy of Performing Arts.